We understand that you are likely to have more questions than a website could ever address. If you have questions regarding any of our contracting services then pick up the phone and call us. We’ll be only too happy to help. All queries will be treated in the strictest confidence and with the utmost respect. If your query isn’t urgent or you would like to request a call back at some later time and date, please use the email address to contact our support team. We aim to respond within 24 hours. Parsons Contracting are dedicated to fostering long term relationships. 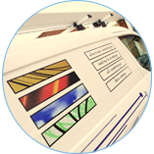 Our highly skilled and motivated workforce operates nationwide from our offices in Chesterfield, from where we provide a complete service from design to installation and maintenance of your electrical, mechanical services and building fabric.